Hospitality to strangers, self respect and devotion to work are some of the characteristics of Biharis. 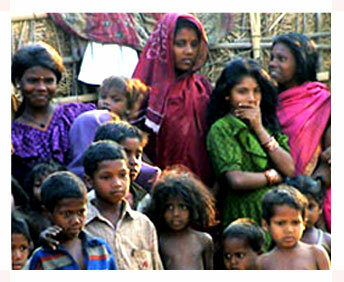 Simple in their living, one can find tribal as well as non-tribal people in the state. They can be better classified as non-tribals of the north and aboriginees of the south. The latter are tribal in character. The non-tribal group belong to various castes, prominent among which are: kayasthas, bhumihars, rajputs, and the so-called backward castes - yadavs, koeris, musahars, chamars, and others. The aboriginees belong to various tribes, among which are: santhals, mundas, oraons, and others.